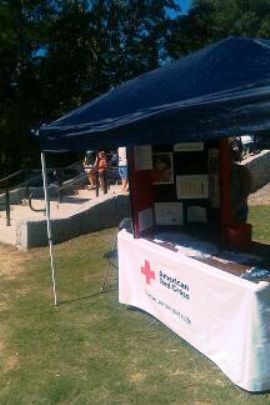 The Atlanta Red Cross campaigned for the Measles Initiative Saturday October 9th at the Atlanta Rice Festival in Stone Mountain Park. While the festival was at full swing, the Red Cross was there informing the public and handing out Measles Awareness ribbon pins to try to gain support for the Measles Initiative while learning more about the culture of the different countries in Asia. With 450 children dying a day from measles, the American Red Cross founded the Measles Initiative in 2001 to try and stop the measles outbreak world wide, and during this time the Red Cross has vaccinated 700 million children worldwide. Sixty-seven percent of measles are deaths are in Southeast Asia with an estimated death total of 126,000, and the next major outbreak area is Africa with an estimated death total of 28,000 people in 2008. The Red Cross has partnered with the IRC, CDC, UNICEF, UN, and WHO to help eradicate death by measles. 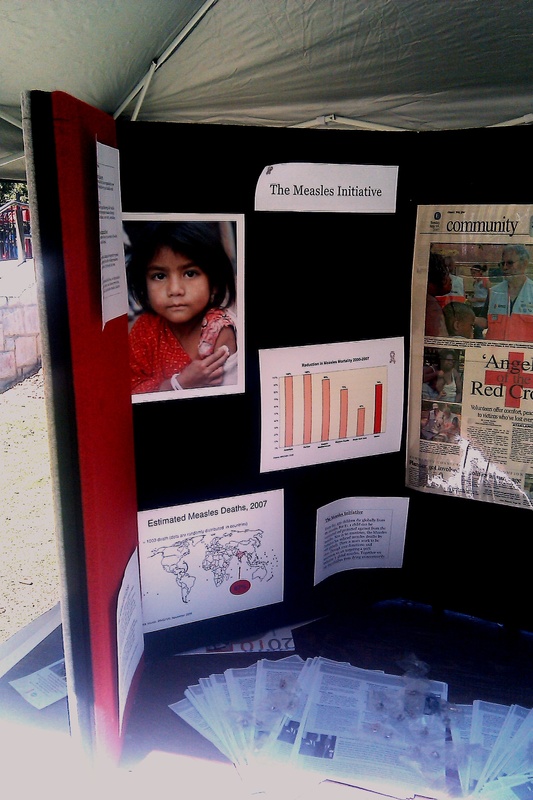 Donations are a major role in contributing to help stop measles. It only cost one dollar to save a child from measles or five-hundred dollars to save an entire village. There are four components of the Measles Initiative: vaccinate, a second-dose vaccination, vitamin A supplements, and mosquito-net distribution. All donations will go to help stop measles and help supply one of these four components for the desperate children in need. Donations, volunteers or for any questions please contact Sarah Beth Thomas at 404-575-3185, or email her at papro@arcatl.org.